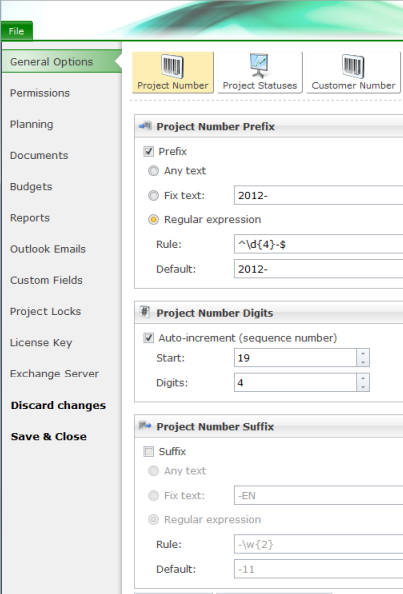 In the InLoox PM options, you can customize and configure the InLoox PM Web App features, inter alia the project number. Click Project Number on the Ribbon. Below you see the Project Number area. Adjust the project number - InLoox • Copyright 1999-2019 © InLoox GmbH. Tous droits réservés.